This mornings Super Moon was rare! It was not only a “Super Moon” (at perigee/closest to earth), it was a Blue Moon (2nd. Full Moon in the same month) & It was a Blood Moon (Lunar eclipse). So adding all this up together, it was a VERY rare thing to see! To put it into understandable numbers – This hasn’t happened since 1866! That was right after the Civil War! WOW! This is the first Blue/Blood Moon since 1866. It won’t happen again in our lifetime. This combo of Super Blue/Blood Moon wont happen again in our lifetime… Pretty cool if you ask me 🙂 Did you see it? Also interesting is the fact that February won’t have a Full Moon at all this year… Next Full Moon is the Full Worm Moon, Thursday March 1st. Don’t forget – Spring is Coming! Question – When do I apply Dormant Oil to my fruit trees? I get this question all the time. The name really says it all – Dormant oil… You apply it when the tree are fully dormant, before the buds break in late winter/early Spring. Its the first step in any fruit tree spray program and probably the most important. When you spray your trees with this product, it will smother overwintering insects like – aphids, scale & mites. It will also kill their eggs. Don’t skimp, wet the tree limbs and trunk down till they are soaking wet & dripping. Make sure to spray on a day where it will be above freezing for at least 24 hours. A little more advice – clean up last years leaf matter, fallen fruit and branches, etc. This will help insure that overwintering insects and fungi are out of the way. I Hope this helps you get started down the road to better quality fruit and healthier trees. My grandparents were instrumental in my becoming a lifelong Gardener! So many days were spent with them planting and weeding and picking and preserving… Such great memories 🙂 My grandfather played a game with me to teach me to identify trees at a distance. I knew almost every tree by the time I was 10! My whole family has a true love for nature. Our Summers were spent in the woods & around the streams & creeks of the TN River playing and fishing. I wouldn’t trade my childhood for anything! When I was around 10 years old my grandma Kay gave me a book of stories, quotes and journal entries of Henry David Thoreau & suggested that I read it. I took her advice & it really opened my eyes & made me think. I love the words that Rosalie used to describe this time of year and its great importance. – Rosalie Muller Wright – Editor of Sunset Magazine. January is almost over & soon we will start the show to beat all shows! Spring time in Tennessee! Enjoy your day! Here’s an oldie but goody! I get this question EVERY year, multiple times! Question : How do I get my Garden ready for Spring? I was asked this question on the radio yesterday morning. We all had some fun talking about working in your garden and gave out some good advice for sure. So this little list is an extension from that for all the folks who didn’t have time to make notes. Of course clean up is job 1. Rake up those leaves and sticks and debris from the fall and winter. This is so important for the success of your garden! Not only is all that debris unattractive, it can be a home for overwintering insects as well as fungi that can get right back on your plants. – Trimming and Pruning! This is a great time of year to get out there and do some trimming.Cut back you Roses, Ornamental Grasses, Perennials, and most Ornamental Shrubs like hollies and boxwoods. Not azaleas yet… Wait until they have bloomed to trim these Limb up those trees in the landscape and along the borders too. Many people ask me WHEN to prune their Crape Myrtles, IF you haven’t already, do it now – It’s time! 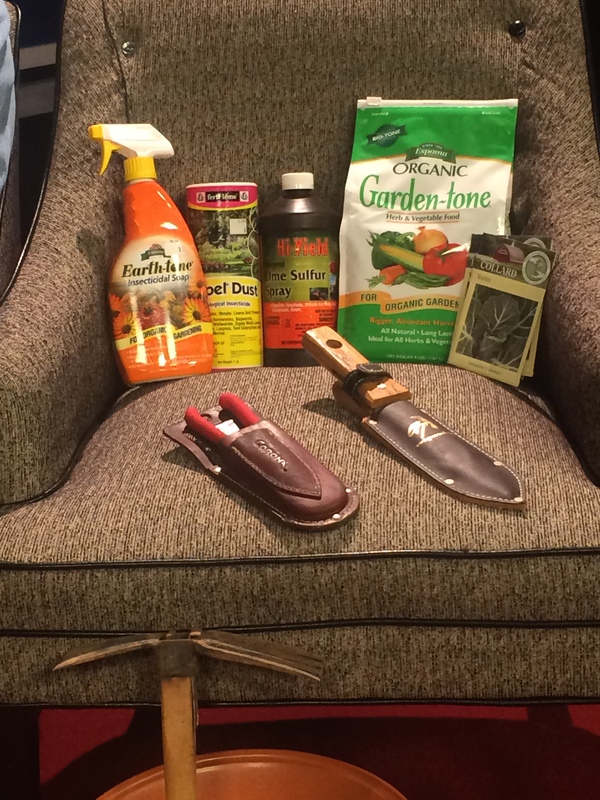 Simple pruning tools, organic products and natural compost will make gardening healthy and easier. 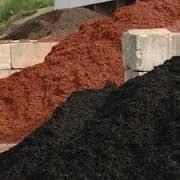 We have bulk mulch in stock for your projects at Carters nursery, Pond & Patio in Jackson, TN 38305! “Friday radio/blog question” – Only the 2nd one so far. My suggestion is to try something simple but with meaning. Something that will reward your labor. 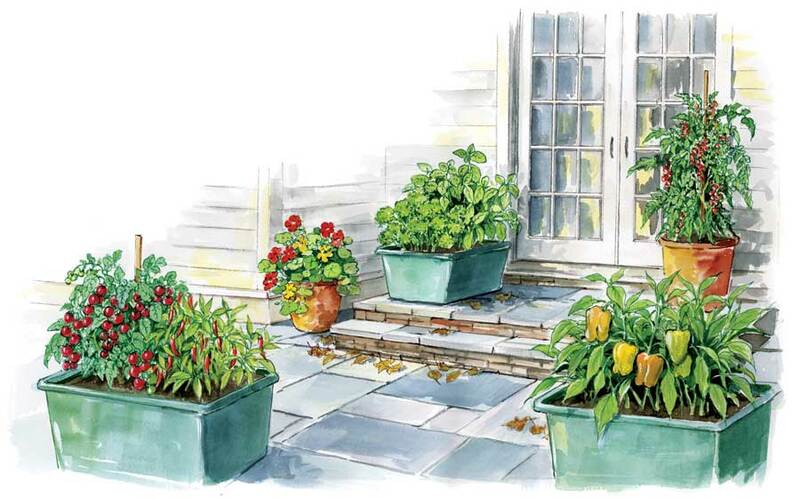 How about a “salsa container garden”. This will require 3 containers (minimum, you can do more if you want) You can stay simple with 3 gal. plastic pots or you can get glazed pottery, or even build a small raised bed to grow your plants. I say start somewhere in the middle. If you enjoy this hobby, you can add more containers or branch out to raised beds or a small plot. 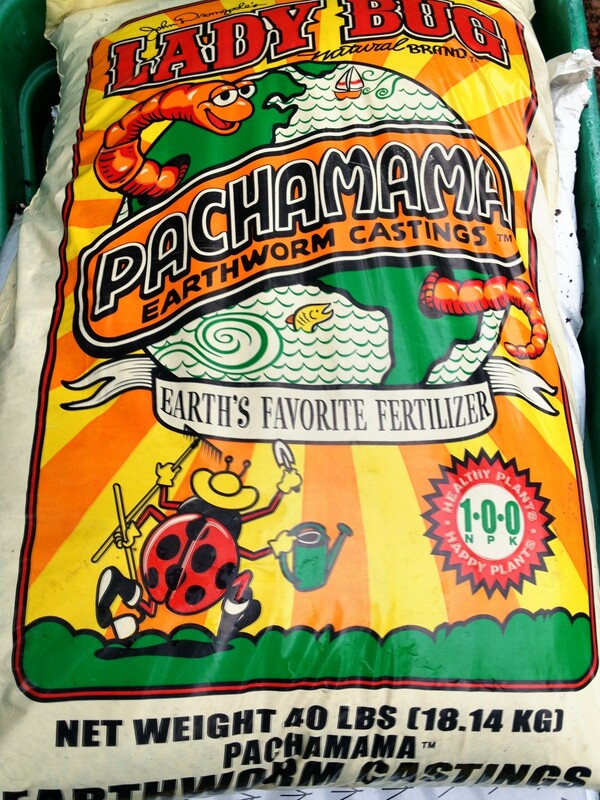 Use quality potting soil labeled for edibles. I use an organic potting mix. Go to a local Independent Garden Center and pick out a few basic staple plants – 1/Tomatoes (My favorite is Cherokee Purple) 2/Peppers(Bell &/or Jalapeño) 3/Cilantro (you can get a plant or a packet of seeds. Easy to germinate & grow). Get a good organic plant food to use on your new Salsa Garden and make sure you know how to apply it & how often to water and feed! Container Gardening is fun and rewarding. Edible Ornamental’s are VERY popular for a good reason – So Beautiful! Then watch your plants grow and produce organic vegetables for you to enjoy! I add chopped onion, a little garlic, lime juice & a little salt & pepper. WOW! Nothing better than fresh SALSA! Thanks & Enjoy the Weekend! I LOVE to watch the birds bathe and drink from my pond! The water is like a magnet to birds and other wildlife. But if you really want to draw in the birds – you need to feed them 🙂 It’s easy! To attract a variety of birds to your backyard, put a assortment of feeders at various height’s and placements in your Landscape and watch them show up in numbers. Platform feeders are great! 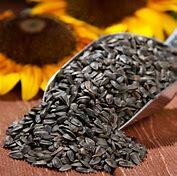 You can use a wild bird feed mix OR just use black oil sunflower seeds. They ALL love them! Black oil Sunflower seeds are great! Most birds LOVE them and if you buy in bulk they are very inexpensive. I also love to feed the Gold Finches! 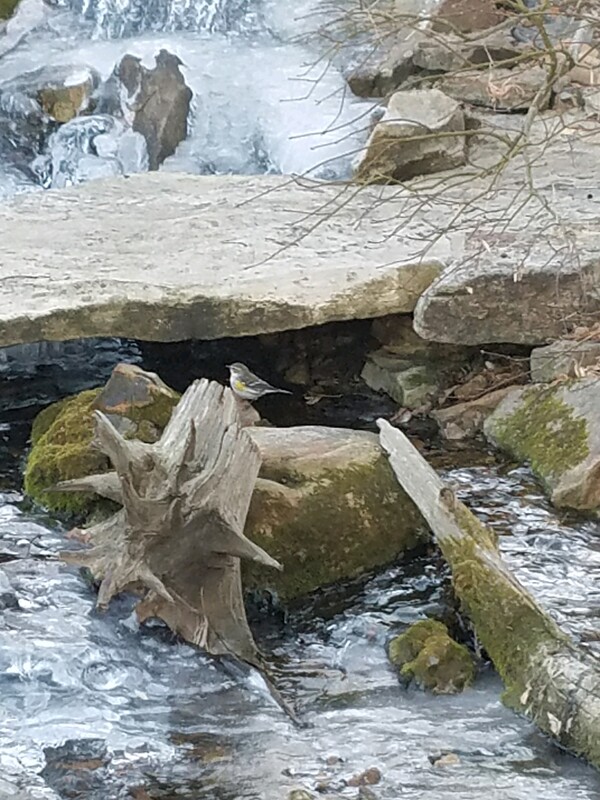 They flock to our feeders and sometimes come in flocks that number in the dozens. Gold finches are one of my favorites! Black thistle seed is their preferred food. If you put it out, they will come! Even in the Winter when most of the plants are dormant, the birds are still here. They still visit our Ponds and Water Features to get a drink or bathe and if you feed them, they will put on a show. Birds come all day long to get a drink and even bathe. 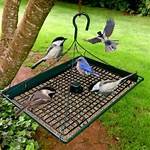 Try setting up some feeders in your viewing area and watch them flock to the WATER! I hope you enjoy feeding our little feathered friends as much as I do!